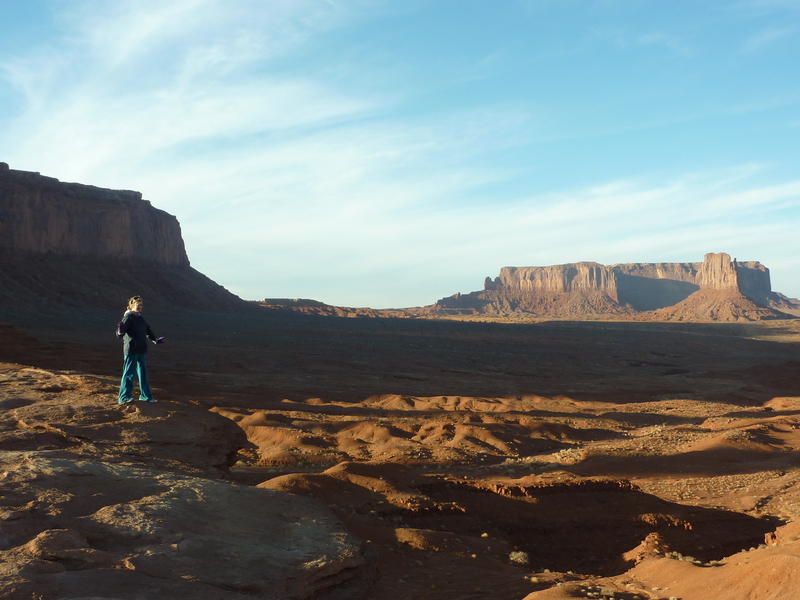 The landscape of Monument Valley is like something you would expect to encounter on the surface of Mars; red and desolate except for the sprinkle of oddly (and often amusingly) shaped buttes which jut up from the ground. 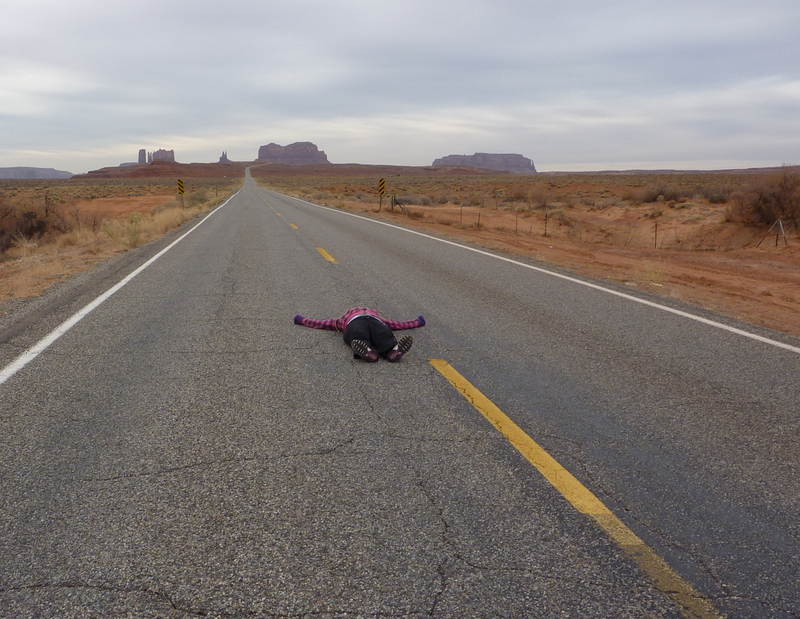 We made our way to the Monument Valley Navajo Tribal Park, which would enable us to get a little more ‘up close and personal’ with this mysterious expanse of land. 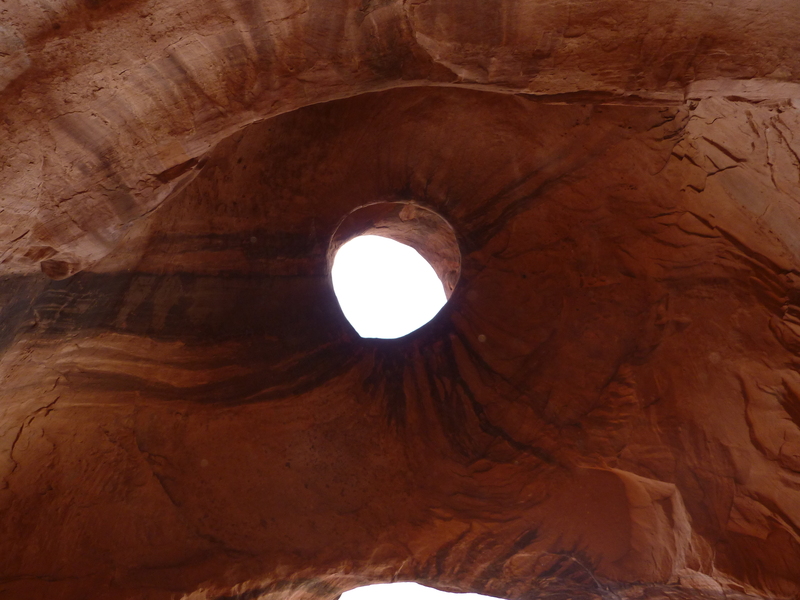 Once there, the 13 of us boarded a jeep and a Navajo guide drove us all around the national park and it was no real surprise to learn that the area had been used as the setting for many Western movies. It’s funny to think that an area like this can be only a few hours away from Las Vegas but this why I love the U.S.A – it is diverse, and there is so much more to it than you would expect. 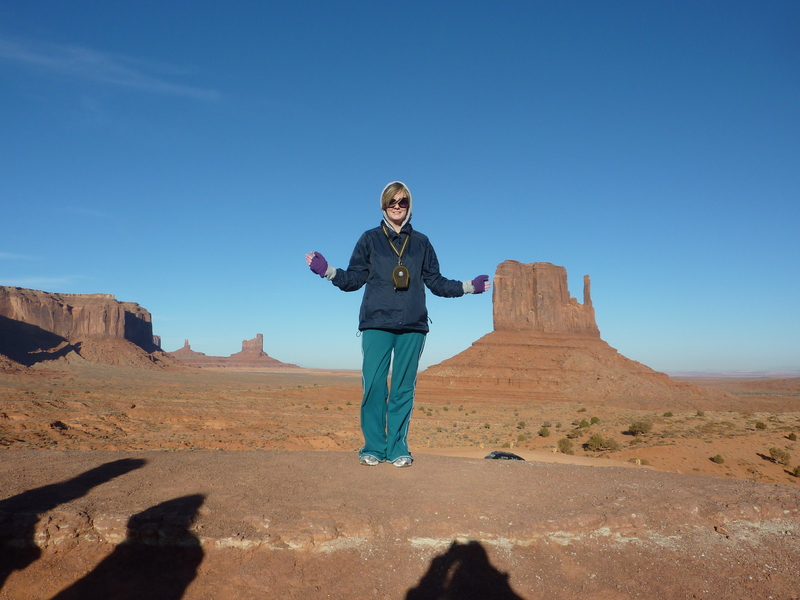 You may note from my interesting choice of attire that it was quite windy and cold when we went to Monument Valley – classic November weather – yet sunny all the same. In Summer weather the valley gets very hot, and in a strange way, I think I was happy about the fact it was slightly cooler when we went. 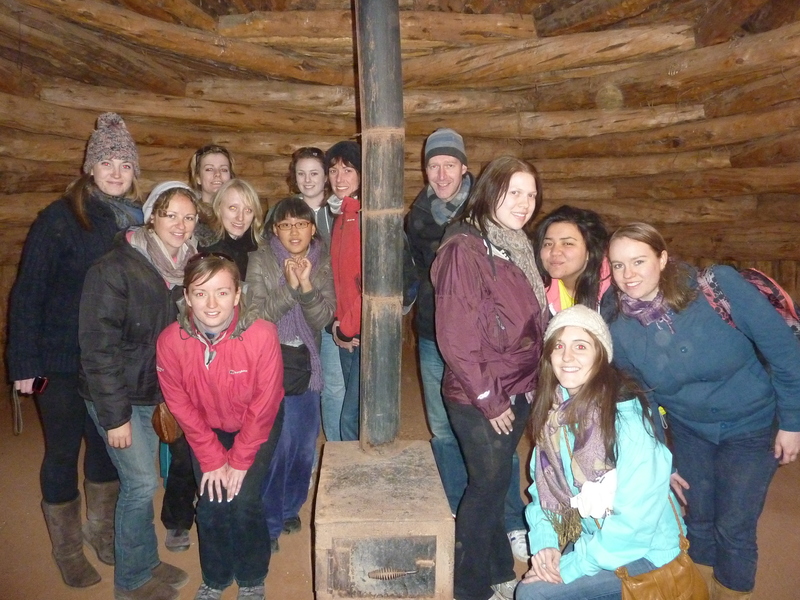 After that, we continued our journey and arrived at a cluster of hogans in which some of the Navajos live. Another Trek tour were there too, and we all ate a traditional Navajo dinner of fried bread, mincemeat and beans together. Hogans are the traditional homes of the Navajos, instantly recognisable by their cone-shape and small doors facing east to welcome the rising sun. Made of mud, wood and earth, they are usually brown in colour and are very hot inside. I’ll never forget eating dinner with the Navajos at sunset. It was probably the first time in my life I’d ever experienced a culture abroad which was so different to my own, and it left me wanting to know more about the world. We went back to the car-park and Mandy drove us to our motel in Utah. The breeze had left most of us with sand in our clothes and our faces feeling flushed, but it was an amazing experience, and I’m so glad to have been there.